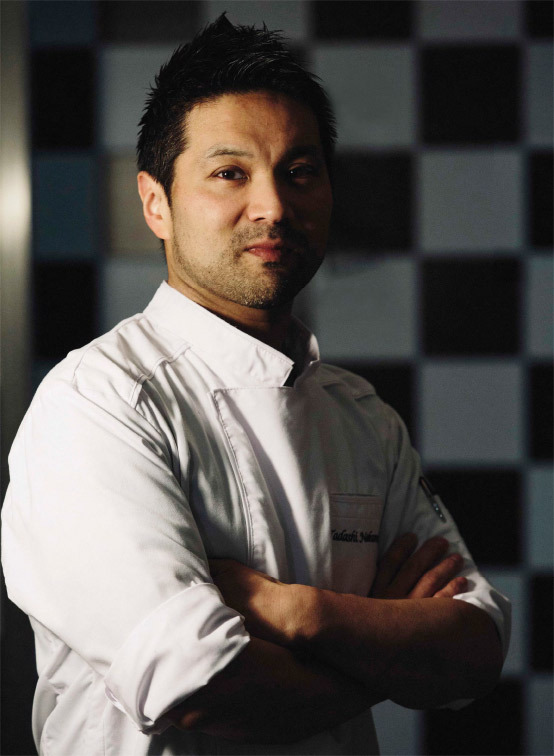 Le chef pâtissier Tadashi Nakamura. 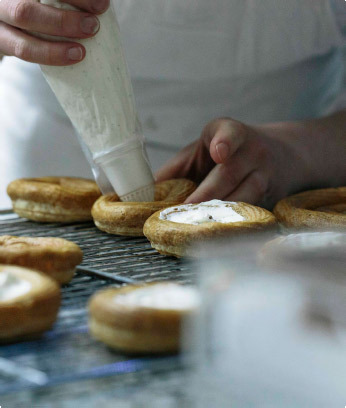 Tadashi Nakamura has been making pastries for more than twenty-five years. He became infatuated with the art of pastry making as a little boy, in Osaka, after taking a bite out of an Opera cake. 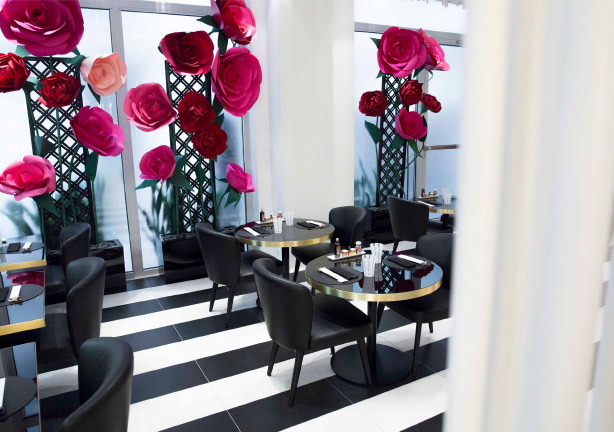 Passionate and blessed with a tremendous sense of humor, he brings his Franco-Japanese chef’s flair to the boutique. To this day, nothing comes close to a layered Opera cake for him, except perhaps a Paris-Brest — an equally legendary French dessert. 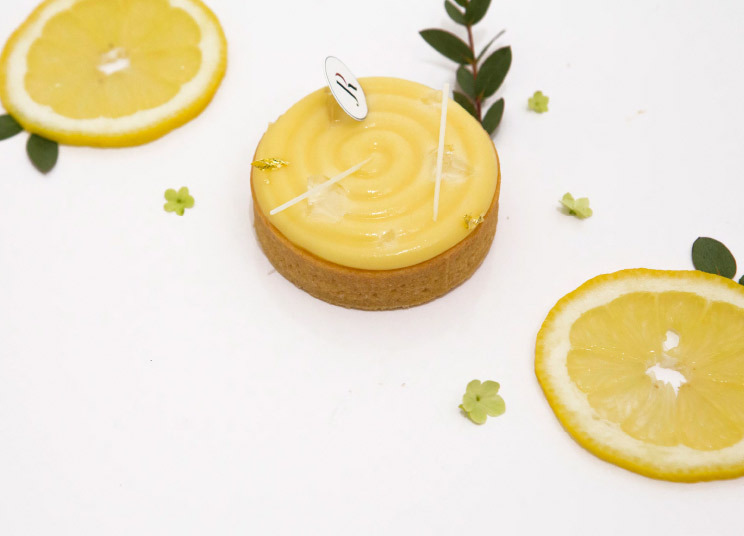 When asked to pick a favorite from his own creations, he hesitates for a moment, before choosing the Lemon and Yuzu tart on a bed of Dassai jelly. This is one of the store’s three signature desserts. The other two are the sumptuous Japanese Red Fruit Roulé and the Dassai White Chocolate Mousse. The pastries are light, and the flavors, subtle. There is a freshness to them — a delicate sweetness that soaks up the mellow notes of the sake. The chocolates, too, hit the perfect balance and reflect the same quest for simplicity. The Dassai macaroons, in fact, have gained a loyal following overnight. 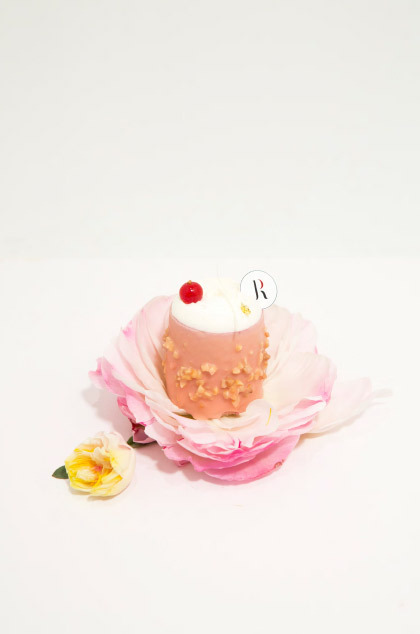 Tadashi’s regard for the two cultures that have shaped his craft makes him a unique pastry artist, and one to watch closely. « Despite what you might think, the pastry offer in Japan is very varied. The Japanese are extremely demanding. ».